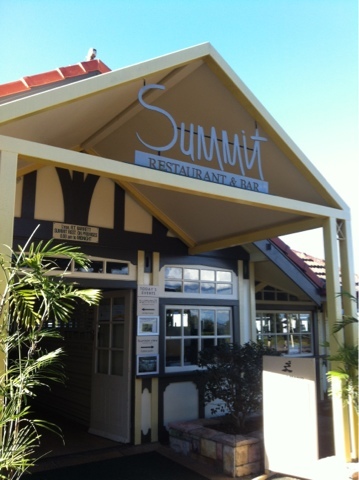 Whilst the three hour track that I took is another story of it own and I will stay on track to review the high tea at Summit. Now after reading so much review of Summit, both good and bad, I was curious before I got there. However, on an overall basis, I have to say, I was quite pleased with the restaurant and the services received. 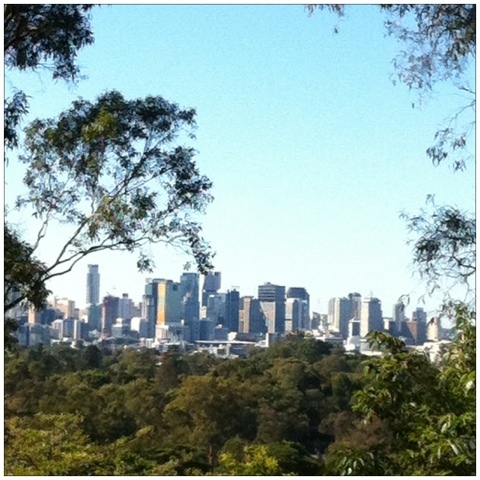 Located on the peak of Mt Coot-Tha, unless you drive, getting up there is a bit a hassle. There are buses (the 471) that goes there once an hour. If you happen to miss the first one, you are pretty much in trouble. It also sets a time limit as the last bus is around 5-6pm, which means that you won't get to enjoy the dinner. However, for a lunch or afternoon tea, you are well set. The restaurant is located just a short distance from the bus stop and ambiance is quiet and elegant. Combined with the superb view looking out of the balcony, I have nothing to complain for on that front. Because I went for high tea, the restaurant was relatively quite and the waiters were very attentive and everything arrived in good speed. There were positives and negatives however with the high tea. The scones were very nice, the portions were perfect and there was this cream/pecan log that was simply divine. What was somewhat disappointing was that they didn't offer free refill for tea, which I was very use to at every other high tea places I have been to. As part of the high tea was this fresh herb sorbet that they made. Whilst it was lovely, I was not used to having sorbet right in the beginning and by the time I was ready, it had melted a little. As part of the high tea range, they also had a mini meat pie? Now, I enjoyed that meat pie thoroughly as I had just done a three hour walking track. But for general high teas, meat pies are a little bit... rustic and Australian. 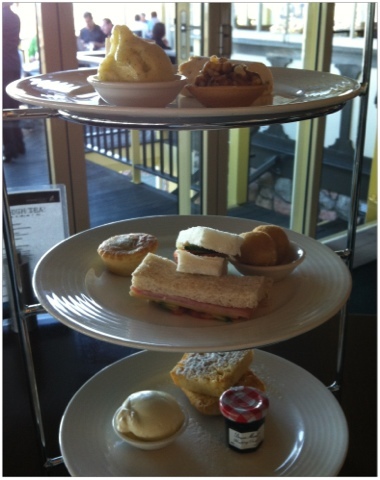 Overall, it was a great experience and the price was actually cheaper with other high teas I've had. Definitely worth a try if you have some time whilst visiting Brisbane. Direction: Adelaide St. Catch the 471 and get off at the last stop at Summit Peak. A curious Sydney girl exploring Brisbane through new dining experiences.